Peonies in central Ohio are now finished blooming but wow what a bloom this year. They had just about perfect weather to provide a wonderful display. Now they they are finished blooming, you can clean up the dead blooms (deadhead) and have pretty nice looking foliage plants in the perennial bed the rest of the season. Remove the dead blooms by going down into the plant, going below the top layer of foliage. I have had some people comment about a few leaf diseases showing up at this time. Peonies are susceptible to powdery mildew and a few other leaf spots. One in particular has been reported in the Miami Valley area, Cladosporium paeonia or peony leaf blotch. Central Ohio gardeners also reported botrytis blight during the earlier part of the bloom season. Good sanitation is a must to help reduce the potential for further infection next season. Other cultural practices such as providing full sun and good air circulation help as well. Peonies don't require a lot of care. However, as they get older, it's a good idea to fertilize after they bloom. 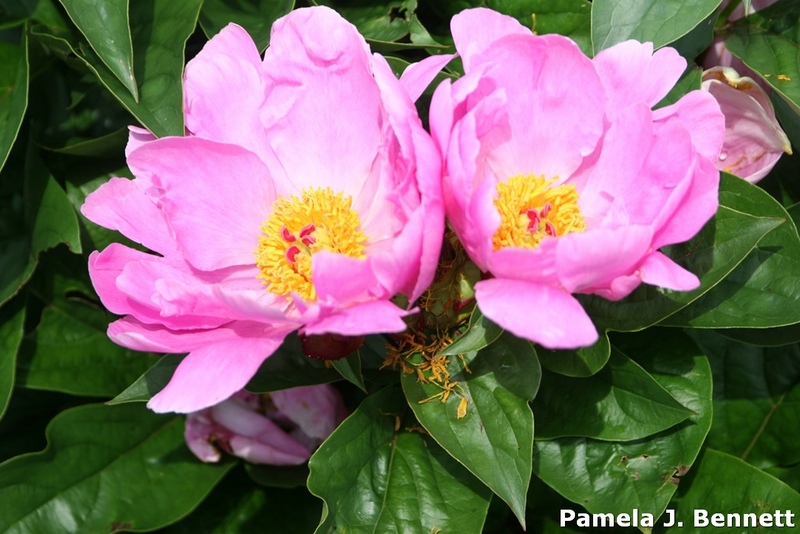 Learn more about growing peonies from Purdue's factsheet "The Peony: State Flower of Indiana." In addition, the American Peony Society is a very helpful source. And finally, mark your clanedars for next year's Peony Festival in Van Wert, Ohio. At the turn of the century, Van Wert was known as the Peony Capitol of the world. The first Sunday in June was considered Peony Sunday and now they have the Peony Festival.